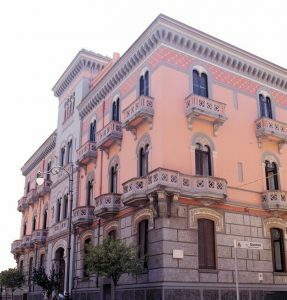 Founded in 1997, Accademia Italiana Salerno is an Italian language and culture center. The Institution is specialized in teaching Italian as a foreign language. Accademia Italiana is one of the most accredited institutions in Southern Italy. Accademia Italiana is recognized by the Italian Ministry of Education (p.a. 368/11) and by the University for Foreigners of Siena and the University for Foreigners of Perugia for the official Italian certifications recognized by Law and based on the Common European Framework of Reference for Languages. Our center is officially accreditated by the Univeristy of Mississippi (Oxford-MS) for the transfer of academic credits for Study Abroad Programs in Italy. The school is a proud member of IALC (International Association of Language Centres), ASILS (Italian Association of High Quality Schools) and has several partnerships with International Universities and high schools in the USA and Europe. Our goal is to provide students with a unique learning experience in a place where they can easily combine the study of the Italian language with a wide range of courses and activities that will increase their awareness of the Italian culture. Our center has 14 classrooms, 1 multimedial room with 8 computers all connected to Internet (cable and wi-fi), 1 cinema room, a library with both books and videos and a cafè. We provide different housing options such as: Italian host families, hotels and apartments. All the staff and teachers are highly qualified , they have a MA and a post degree specialization in teaching Italian as L2/FL.